Widening Participation at UC plays a central role in achieving this objective by building beneficial and productive partnerships with students, teachers, communities, schools and organisations aimed at supporting the access, participation, retention and success of students from Indigenous backgrounds in higher education. Detailed information on these initiatives can be found below. The Stronger Smarter Schools Project is a joint initiative between UC and the Stronger Smarter Institute to deliver professional development to teachers from UC’s school network aimed at raising the educational outcomes of Aboriginal and Torres Strait Islander students. 89 teachers from 31 schools participated in the Stronger Smarter Leadership Program, creating many examples of mentoring, sharing of best practice, and positive changes that will ripple beyond the classrooms, schools and towns of the participants to improve education outcomes across Australia. The ACT Indigenous Success Project (ACT-IS) is a joint initiative of the University of Canberra (UC) and the Australian National University (ANU). ACT-IS aims to raise educational aspirations and achievements, and to support access to higher education. ACT-IS involves delivery of specialised activities within participating secondary schools and colleges across ACT and NSW. The program works with students from Aboriginal and Torres Strait Islander and low socio-economic background. ACT-IS consists of two components aimed at breaking down barriers to higher education. Aspiration and Achievement sessions focus on empowering students to achieve at school and progress into higher education. Outreach Officers deliver a series of scaffolded sessions to a consistent group of student participants in Years 9 to 12. Sessions build understanding, motivation, confidence and aspirations and ask students to start thinking about their future. All schools participating in the ACT-IS program are invited to participate in a UC Campus Experience Day, to complement in the in-school sessions. "I believe that this year was another tremendous success as the students were engaged and positive about being part of this program. Your enthusiasm and ability to engage with our students made all the difference." The ACT-IS University Pathways Program is delivered in three school hubs to selected students in Years 11 and 12. Building on Part 1 the program focuses on enhancing students' skills to assist in their transition from high school to university. 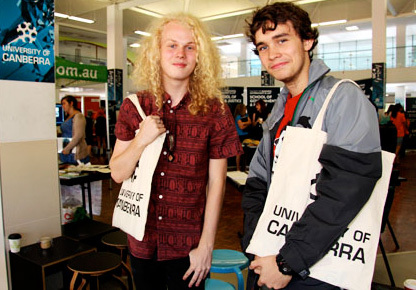 Students who successfully complete the program and receive their Year 12 Certificate are eligible for direct entry into selected courses at UC and ANU. Those students who accept an offer to study at UC or ANU will be eligible to receive a scholarship when they commence their studies. "A huge thank you to the team and UC for offering this pathway to our students. 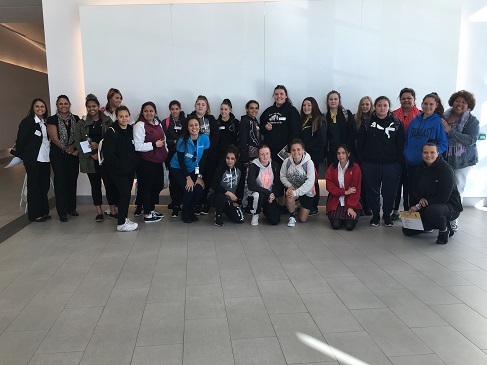 For many of our Indigenous students they will be the first generation in their families to achieve a Year 12 certificate and now many will also have the choice (and confidence) to go on to university." The University of Canberra (UC) is in partnership with the Aurora Project to run several Indigenous education initiatives, together known as The Aspiration Initiative (TAI). TAI aims to increase support and opportunities for Indigenous Australian students, helping students to realise their potential at school, university and beyond. UC and the Aurora Project share a commitment to breaking down barriers to higher education for Aboriginal and Torres Strait Islander peoples. We believe that having high expectations is an important part of our approach to working with students, teachers and families. For further information on this partnership check out the National Centre for Student Equity in Higher Education's publication, Partnerships in Higher Education. Widening Participation is committed to providing opportunities for Indigenous students to gain first-hand experience of a higher education environment and develop and understanding of the courses and possibilities available through university study. Widening Participation is collaborating with the ACT Education Directorate to provide on-campus sessions raising aspirations, providing goal setting skills, academic preparation and faculty experiences for students in the Indigenous Aspirations Program from Melba Copland Senior Secondary School and Canberra High School. The Australian Indigenous Mentoring Experience (AIME) has partnered with UC to offer tailored in-class mentoring and on-campus university experiences for Indigenous students in the Canberra and broader NSW region. 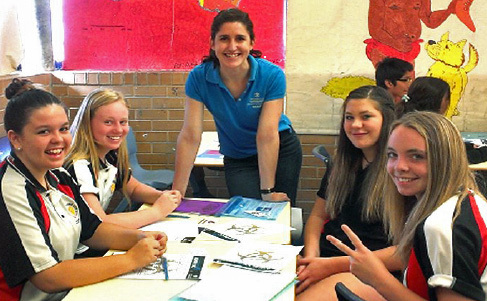 In 2015, AIME worked with 17 high schools and engaged with over 100 high school students using university mentors.